Social Media: Time for a Reality Check! What’s the Real Business Value of a Social Media Following? What’s Your Relationship Status With Today’s Social Networks? Quiz: Your Customers Are Talking About You Online — Are You Listening? If you aren’t using social media channels to generate leads, check these core concepts to turn your social profiles into lead-generating machines! Over the last few years, social media has transformed from merely a business add-on, to a necessity. I can say from experience — if you’re not using social to drive traffic and therefore leads that convert to revenue, your brand is losing out. Big time. YouTube reaches more 18-49 year-olds than any cable network in the U.S.! If you aren’t already using social media as part of your lead generation strategy, it’s definitely time to start. Similarly, if you are using social but don’t seem to be getting anywhere — I’m going to help you achieve results. And the problem that 50 percent of marketers run into..? They don’t grasp the underlying “humanized” principles that drive people to follow and buy via social networks. I’m referring to the fundamental psychology of selling on social media. Here are seven of the most important principles to understand if you want to start generating serious sales leads through social media. I’m also going to be using Twitter as a prime example; because it is often the most misunderstood and underutilized platform! Nothing exciting happens on social media until you have an audience. Posting aimlessly to an account with zero followers is the marketing equivalent of shouting into the void — you’ll likely use a lot of energy and not much will happen. Of course, we all start somewhere — but you need to be actively engaging with people in harmony with the updates you post. Else, your strategy will be akin to a promotional megaphone; inevitably turning off any prospective followers and future customers. I witness it countless times every day: One-way communication with ZERO effort to respond to anybody. Appreciate your followers and they will welcome your offerings. In order to transform your social media efforts into leads, you need to find a unique way to own a segment of the time your target audience spends online. If you’re already a well-established business, you will find it much easier to gain followers. This is an opportunity to be maximized! People naturally gravitate towards popular brand names. Whenever they search you online, your social profiles will appear in numerous places on Google (if you’ve applied the specific website markup) and there will likely be many citations elsewhere, pointing everybody toward your profiles. As these accumulate over time, even more citations will follow. It’s a domino effect. Once you begin to attract followers, it’s time to figure out how to convert those followers into leads. This next step involves turning acquaintances into friends. Your followers are interested enough to listen to what you have to say in the public domain, but do they trust you enough to take the relationship a considerable step further? Namely — handing you their valuable information, in return for special content? And critically: Do they know you want them to take this action? To be successful in social media marketing, you need so much more than vanity metrics — numbers that may ultimately boil down to disinterested followers who are simply tagging along. 100k accounts following your brand because of its detached humor, will not take interest if you begin to post industry-specific content. 1k followers are immensely powerful — if they are following you because they feel close to your brand and its defined purpose — so they eagerly await each business-focused update. Give your audience a specific reason to follow and buy from you. This is a battle you need to win in your own mind before you can triumph in the social trenches. Make sure that your entire team understands why you’re investing in social channels. Yes, you want to interact with potential customers and it’s nice to raise brand awareness — but ultimately; you want each and every social action to play a part in generating leads, whether directly or indirectly. If you’re spending time on social media and not contributing to this goal, you should quickly consider pulling the plug on culprit activities. One of the reasons why businesses find social media lead generation so difficult is because they aren’t truly honing their social media channels to generate leads. You might be surprised to realize a big disconnect between what you think you are broadcasting and what your audience is actually hearing. Make sure everyone involved — from your team members right down to your followers — knows the specific intentions of your social media channels. Your followers might not know you want them to take action from your social media pages. Fortunately, this is easy to change — and you should. You will often find it more difficult to generate social leads without a call to action. Social media is a vast toolbox of creative methods to draw people into your sales funnel. “Facebook Lead Ads are an effective way to share premium content and begin the awareness process. To do this, set up your Facebook Lead Ad and connect it to your CRM of choice. MailChimp works well in this situation and is simple to configure. Don’t let your audience guess what they’re supposed to do next! Channel their interest into your lead-generating content through well-placed calls to action. REMEMBER: This is the same for ads and organic content, right through to your brand’s social profile pages. While it’s been found that marketers now see social media lead generation as a *slightly easier* process than content marketing, I would never recommend using one without the other! Social media and content marketing are comparable to legs. You can make a little progress using them independently — but they work MUCH better when moving in unison. Use your social channels to promote content, and your content to direct people to follow your brand on social media. Both should be deployed to entice leads. The same golden rules for content marketing also apply to social posts: If your content doesn’t offer value to your audience, don’t post it! Everything published across social media should be relevant to your business, the lives of your audience and the interests of potential customers. Check out Digital Current’s Twitter feed. You won’t find any irrelevant content there, whatsoever! For example, if you’re selling SaaS; your content needs to educate your audience to be better businesspeople, more efficient in their jobs and smarter software users. The odds are; they followed you to learn more about your brand and the industry you represent. As earlier mentioned — followers become leads when they’ve developed a relationship of trust with you. It may sound crazy to talk about people building relationships with social media accounts, but it happens all the time. The more “human” you are, the greater such bonds. If your content offers value and is laser-focused on your audience’s needs, they will be a lot more willing to take the next step toward becoming customers. Not every step in the sales funnel is an easy transition. There are certain sticking points where leads tend to lose interest, get confused…or just exit completely. It’s your job to offer guidance and clarity. The same core principles apply to social media. You’re trying to drive traffic to specific destinations using carefully crafted media pieces. Whereas you definitely should be measuring each social ad; it might not be cost or time-effective to A/B test every organic social post…but measurement is advised wherever capacity allows it. Find what converts best, and continually improve. You must make the conversion process easy (and enjoyable). It won’t matter if you have awesome calls to action and a clear link to your forms…if your forms are intrusive or incomprehensible. Nobody will fill them out. Do your followers a big favor by guiding them through every stage of the sign-up process and finding ways to make it more natural and flowing. Is it easy to find you on social media? Do your posts and profiles contain clear calls to action? Does your content offer consistent value and build trust? 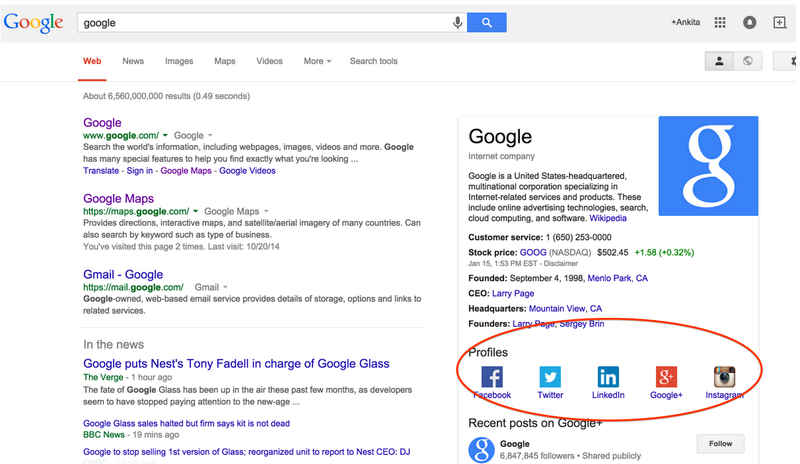 Do your social profiles link clearly and cleanly to your lead gen material? Are your lead gen materials (tools, landing pages, etc.) valuable, yet intuitive? Do you have a robust plan in place to nurture and track leads once they’re created? Make it easy for your audience to become leads. Many will show their appreciation for your helpfulness by signing up…and much more! However, that doesn’t mean you should rule them out. I’ve emphasized that your social media channels need to be about much more than branding alone, if they are to generate abundant leads…but a strong social media brand will definitely help you generate more leads. Social media branding goes far beyond your style guide or corporate identity. It develops a wholly-distinct voice. A well-branded account doesn’t even need a logo for its posts to be identifiable. McDonald’s currently has over 3 million Twitter followers. Not bad! In comparison to their millions of followers — not too great! They’ve cornered a specific type of humor and branded it as their own. They are directly promoting their products…but for once, it doesn’t feel tired. Their approach is extremely clever and fresh. Nobody else does Twitter quite like Arby’s — and that is exactly why their followers are highly-active and engaged. Consequently: They are also much more likely to become customers through brand affinity and recall. Obviously, not every brand can (or should be) Arby’s…but take the time to differentiate yourself from the competition by finding your brand’s unique character! Remember when I mentioned about relationships based on trust? They are what separate the social brands that solely generate likes and shares from the masters that produce solid leads and sales. They are the difference between followers and customers. I saved this principle until last because I wanted to really drive it home: The single most important action you can take to generate leads is to give your followers reasons to trust and respect you. There’s a ton of sales research on this methodology. When it comes to selling, the salesperson often matters more than the product. The most successful professionals are endearing, forthright, honest and persistent. Your social media presence should mirror these attributes. Be active, offer value, go out of your way to be helpful and make your intentions crystal clear. Thanks Sam. Truly appreciate it. With your help only I got my first client. You are truly an inspiration. Modern customers expect authenticity and interaction from businesses. If they detect insincerity or even lack of rapid response…they’ll likely be gone in a flash. They have too much choice surrounding them to even give it a second thought. Your company culture will inevitably manifest itself in your communications — so do everything in your power to develop a culture of warmth, genuine care, and honesty. If your audience can tell you’re trustworthy, they’ll be far-more willing to hand over their information. It’s that simple. If you want your audience to become leads, give them reasons to believe in you. 2006 is long gone. Social media isn’t a novelty or a technological phenomenon — it’s a fundamental component of the digital marketing landscape. People are spending more time on social media than ever before, which means social is a better tool for reaching potential customers than at any other time in history. I’ve said it before and I’ll say it again: If you aren’t already using social media channels to generate leads, now is the time to start! Is your brand thirsty for more leads? Combine your social media marketing strategy with effective content marketing for the ultimate lead generation solution.